Two-part film in which a group of ten unlikely runners living with different mental health issues are brought together by Nick Knowles to train for the 2017 London Marathon. In this two-part series, a group of ten unlikely runners living with or affected by different mental health issues train for the ultimate test of mind over matter. They'll compete in one of the world's most famous endurance races - the 2017 London Marathon. Mental and physical health is closely linked, and taking up sport or exercise can benefit our psychological wellbeing, but this is no easy ride. Nick Knowles is on a personal mission to get the runners across the finishing line and leads a team of running experts, nutritionists and psychologists. 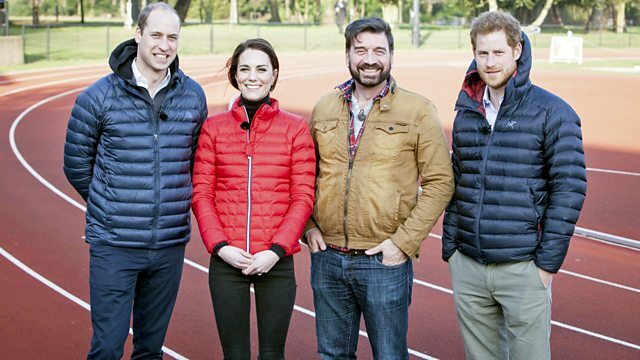 The runners are running in the London Marathon for Heads Together, a campaign set up by the Duke and Duchess of Cambridge and Prince Harry to tackle the stigma around mental health. In the first episode, the group come from all over the country to meet for the first time at a training camp. Each runner faces different challenges, some right from the start, and the show follows their experiences. Among the ten runners is Rhian, a mum-of-three who lost her one-year-old son to pneumonia and five days later tragically lost her husband as well. She struggles with PTSD and anxiety and can't run on her own when she starts this process. Shereece had postpartum depression after the birth of her first child and struggles with depression and panic attacks, and persuading her family that mental health problems are a real illness. Jake, a barman from Brighton, has struggled with depression but wants to try running as a way to help cope with his illness. The episode follows them up to the point of getting ready for the challenge of running their first 10k race - an important milestone if they are to make the starting line of the London Marathon 2017, which takes place a few days after transmission. Nick meets the Duke of Cambridge for a special interview to find out more about why the duke is personally involved with the mental health campaign. The episode ends on an emotional high as Rhian attempts a 16-mile run in memory of her son George. A season of films on mental health, across TV, radio and online.